The British weather is so unpredictable although you can usually guarantee it will rain at some point. 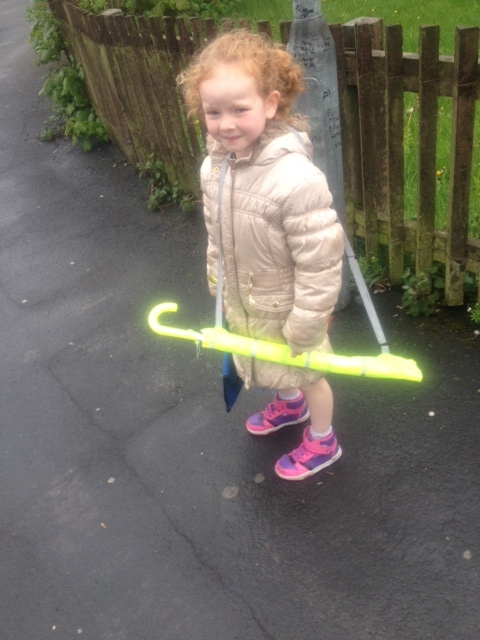 So it is always handy to have an umbrella with you no matter what age you are and children are no exception. The main problem I find with umbrellas is that while many of them protect you against the rain they are usually no good with wind and often break or fold inwards. 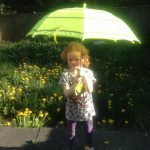 So when I was asked to review a range of lovely umbrellas from Umbrella Heaven, I was more than happy to receive them and put them to the test. Umbrella Heaven is a trading name of Rob McAlister Ltd details of Rob McAlister and what they do can be found here . 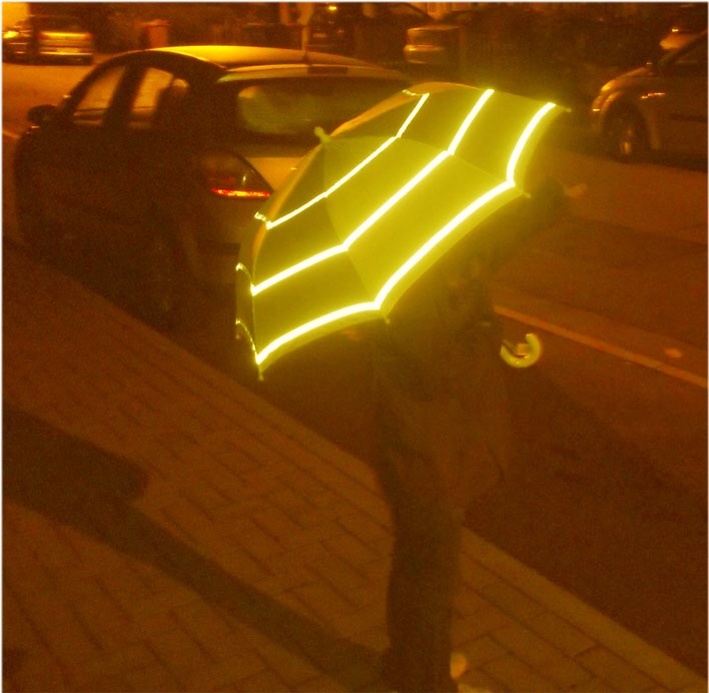 This umbrella is designed specifically for road users to see children when out in dark mornings and dull winter afternoons. There are three reflective stripes around a fluorescent yellow canopy ensuring its visibility to others. 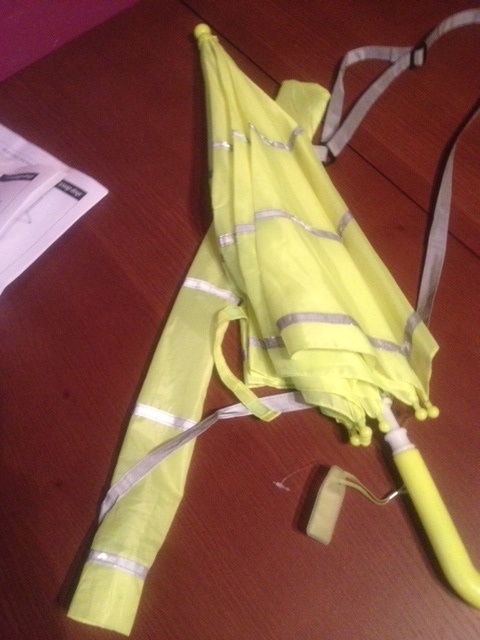 There are more reflective stripes on the handy carry sleeve too meaning even when it is not raining children can be seen when carrying the umbrella on their back. 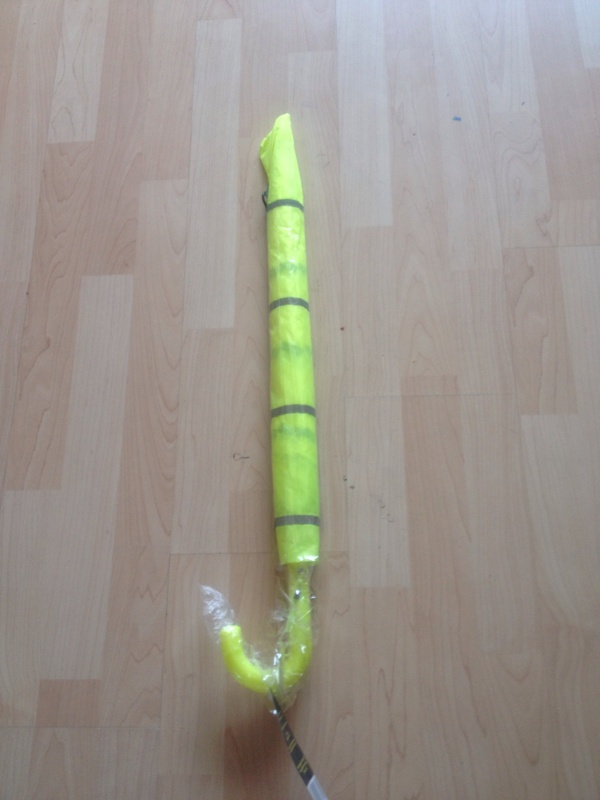 The umbrella has a child safe mechanism and opens and closes easily.There is also a useful name tag attached It is easily carried being light and weighs just 300g. 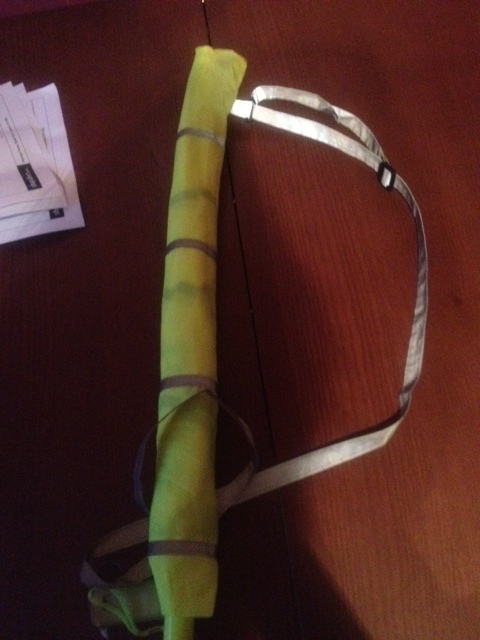 It is 67cm long and the canopy is 82cm across. 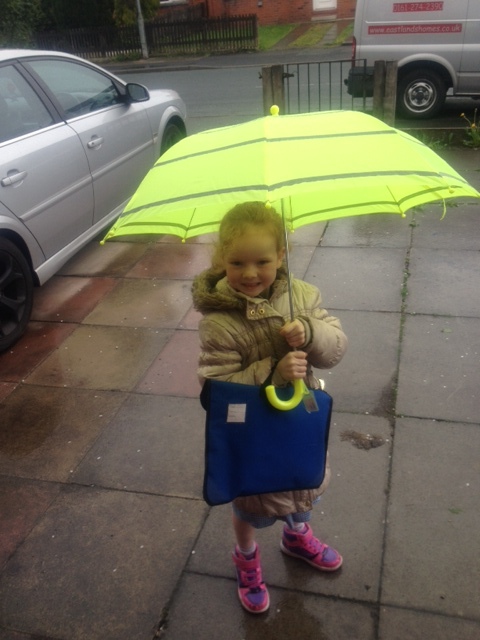 My five year old daughter Jordanna was so excited about this umbrella, she loved the bright yellow colours and how it glowed up. 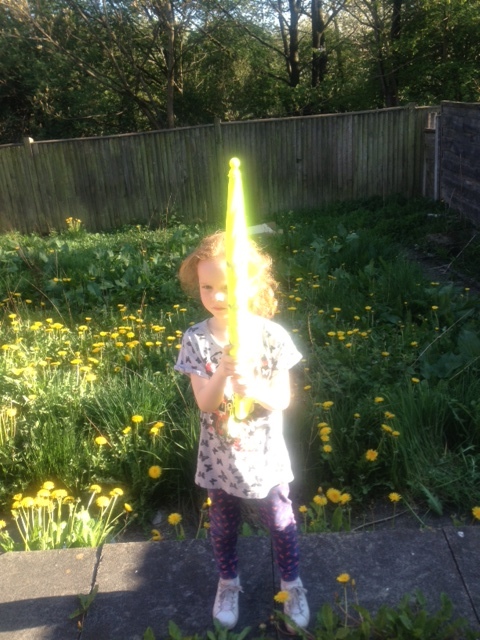 She could not wait to try it out, Only problem was that for the first time ever this year the UK actually had a very warm sunny few days (how typical!). Well this didn’t stop my little princess modelling it and seeing how it worked and looked. 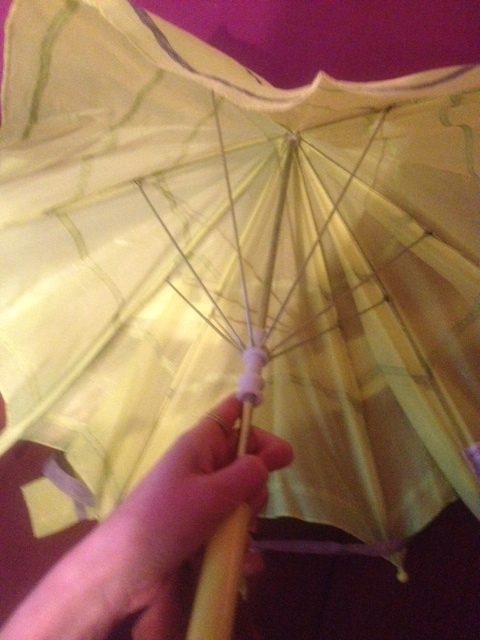 As you can see (although taken on a sunny day) this is a very bright umbrella. 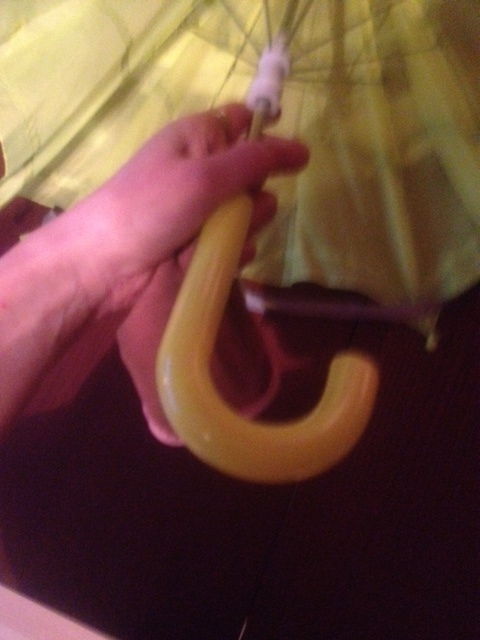 This umbrella really is wind proof. It did not fold or blow in once,. It is very strong for being so light and really is as bright as it looks, I don’t think anyone will fail to miss Jordanna once the dreaded early mornings creep back in. Jordanna loves the carry handle bag too. She can simply pop the wet umbrella back in and carry like a bag over her shoulder. She says its her best umbrella ever.